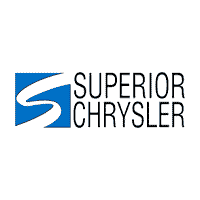 Auto Service Specials | Superior Chrysler Center in Superior, WI " "
Buy 5 oil changes for $99.75. That works out to $19.95 per oil change! Print & present this to your service adviser! *Offer requires an initial purchase of $99.75 or an amount determined by the dealer. Service contract expires 24 months after the date of the original oil & filter purchase at this Chrysler Group LLC dealership. (Up to 5 quarts only. Additional charges may be applied for HEMI engines and fluid disposal). Mopar Vehicle Protection. Essential Care oil change offer is made by the dealer, who is solely responsible for it. Plan offered on 1995 to current year vehicles (excluding Crossre, Viper, Prowler, Diesels, SRT10 and all other vehicles that require semi-synthetic oils). Coupon not valid with any other offer. Must present coupon at time of purchase. Limit one coupon per person. Coupon does not apply to prior purchases. Other Restrictions may apply. Void where prohibited. Print this coupon and present it to your service adviser at Superior Chrysler Center to take $10 off your service bill!